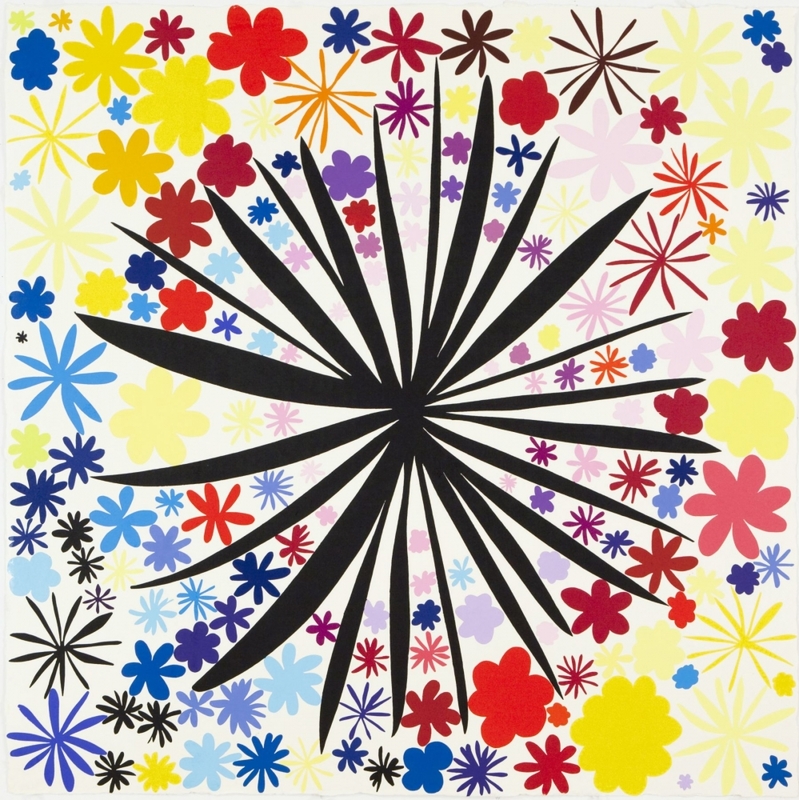 Polly Apfelbaum's solo exhibition Summer of Love: Prints by Polly Apfelbaum at Locks Gallery, Philadelphia. The artist’s lush, intensely hued colors, characteristic of every phase of her work is a constant, conceptual thread for Apfelbaum. Color is escalated in even more provocative registers in the new and recent works on paper. Fittingly her titles have a reference point in Robert Indiana's Love sculpture in Philadelphia’s “Love Park”.